The registration forms for the Korean Language Proficiency Examination will issued on June 20-23, 2016 at 15 centres islandwide, Foreign Employment Bureau sources said. This will be the first exam to be held under the Point System. The Korean Language Proficiency examination prevailed earlier as a written examination but the Human Resources Department of Korea decided to hold it as an online examination in order to overcome shortcomings which prevailed with the written examination. The online examination is scheduled to be held in July this year at CBT Center in Depanama, Pannipitiya. Foreign Employment Minister Thalatha Athukorala urged those wanting to sit for the examination to obtain information only from the Foreign Employment Bureau without going to a third party. She also urged applicants to make all payments via the Foreign Employment Bureau and not through unscrupulous third parties. Exam Details / Exam Results & Applications to sit Korean language exam can be obtain via www.slbfe.lk official website. Sri Lanka Bureau of Foreign Employment (SLBFE) says that the applications for the Korean Language Proficiency Examination (KLPE) would be issued Soon. 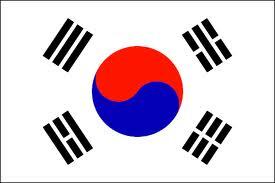 Applications to sit Korean language exam issued from April 27 to 30. The Sri Lanka Foreign Employment Bureau www.slbfe.lk says that the 14th Korean Language Proficiency Examination will be held in next June. Accordingly, the exams are to be conducted on the 13th and 14th of June, based on an Agreement of understanding between Sri Lanka and Korea. 12 වන කොරියානු රැුකියා භාෂා ප‍්‍රවීණතා විභාගය සඳහා ප‍්‍රවේශපත‍්‍ර නිකුත් කිරීම අගෝස්තු 11 වැනිදා සිට 14 වැනිදා දක්වා සිදුකිරීමට කටයුතු යොදා තිබෙන බව ශී‍්‍ර ලංකා විදේශ සේවා නියුක්ති කාර්යාංශය පවසනවා. එහි නියෝජ්‍ය සාමාන්‍යාධිකාරී මංගල රන්දෙනිය කියා සිටියේ දිවයින පුරා පිහිටි මධ්‍යස්ථාන 14 කදී මෙම ප‍්‍රවේශපත‍්‍ර නිකුත් කරන බවයි. Hi mama sandun sameera.matat korean anna puluvanda.mage phone nombre 0716788487.anna puluvan vidiyak tiyanava nam mekata calls ekak denna. october 11,12 thiyenne production sector ekenda???? Next exam eke date eka kiyanawada? How to apply this exam? When is the exam dates for production? when is the next exam date ?